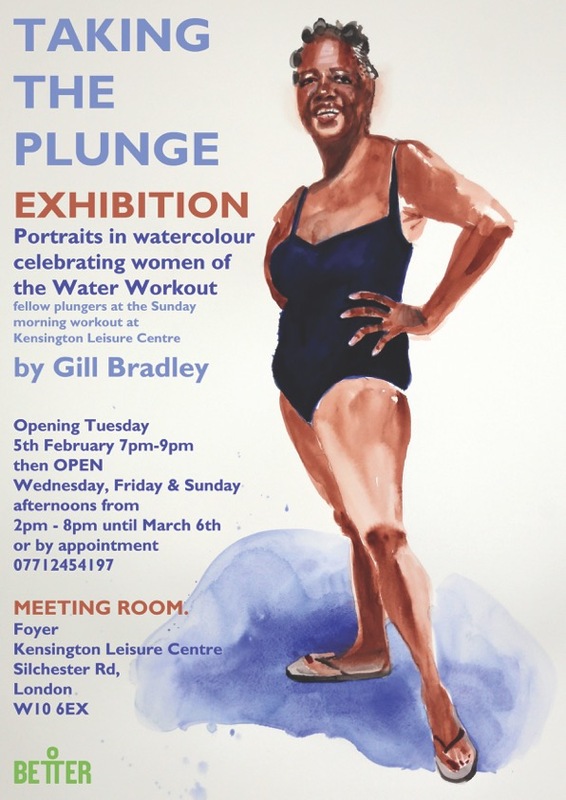 This collection of watercolour portraits are inspired by the Water Workout class member Gill Bradley regularly attends at Kensington Leisure Centre. This Sunday morning ritual is a buoyant and positive refresher to busy and often challenging lives. The portraits are a celebration of the strength and beauty of the diverse group of women from the North Kensington community who come together in this group activity. The watercolour full length portraits capture each unique personality through natural stance and gesture. The exhibition is hosted by BETTER Kensington Leisure Centre. Gill Bradley has been making portraits of people in the North Kensington area since arriving as a student in the late 70s. Her collection Portraits of Portobello is an ongoing series started in 2010 first exhibited at the Tabernacle gallery and locally at Art at 42 on Pembridge Rd. A selection were subsequently shown at The Discerning Eye exhibition at the Mall Galleries. These portraits with 50 word self portrait by the sitter combine to create and reflect a social document of the area. 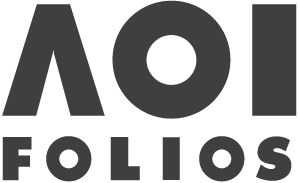 Gill has had a career in animation and design involved in many award winning projects. She won the Serco Prize for Illustration in 2014 with ‘Monkey Band at Large in Notting Hill 1927’, and her winning entry was displayed as a poster on the London Underground.